The Bribery Commission yesterday filed a fresh case against former Sports Minister Mahindananda Aluthgamage and two others. The Commission has withdrawn its previous case where he was named for allegedly committing a Rs. 53.1 million fraud while importing sports equipment during last Presidential Election. In the new case, the Bribery Commission has named Nalin Ranjeewa Fernando as the third suspect. He had been named as a witness in the previous case. When the case came up before Colombo Chief Magistrate Lal Ranasinghe Bandara, the third suspect, Fernando was noticed to appear before court on. Meanwhile, former Minister Aluthgamage and another official were ordered to be released from the previous case. 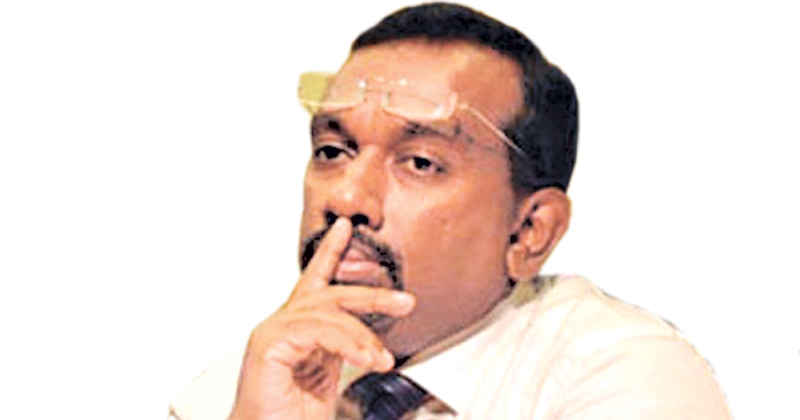 The Commission to Investigate Allegations of Bribery and Corruption had filed a corruption case in Colombo Chief Magistrate’s Court against former Sports Minister, Joint Opposition MP Mahindananda Aluthgamage, and another official at the Sports Ministry, over a Rs. 53.1 million fraud said to have taken place, when importing sports equipment to the sports clubs. Senior State Counsel Asad Navavi with Commission to Investigate Allegations of Bribery or Corruption’s Deputy Director General (Legal), Ganga Heiyanthuduwa appeared for the prosecution.